Today is a very special day, and not just because it is your birthday, but because it is the day when I first saw my angel. I love you. Happy Birthday. There’s nothing more sweet and gratifying in life than celebrating an angel’s Birthday. And that angel, my dear daughter, is you! Wish you a very Happy Birthday. For parents, the second biggest joy in life after the birth of their child, is celebrating his or her Birthday. We don’t have enough words to tell you what a wonderful daughter you’ve been and how proud you’ve made us all these years. 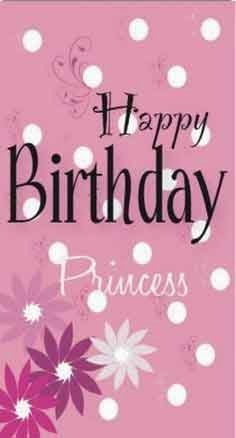 Wishing you a very Happy Birthday dear daughter. Daughters are like sugar. Too much of them will make the taste of life even better, but too little of them will make life tasteless. You make our life worth living dear daughter. Happy Birthday.